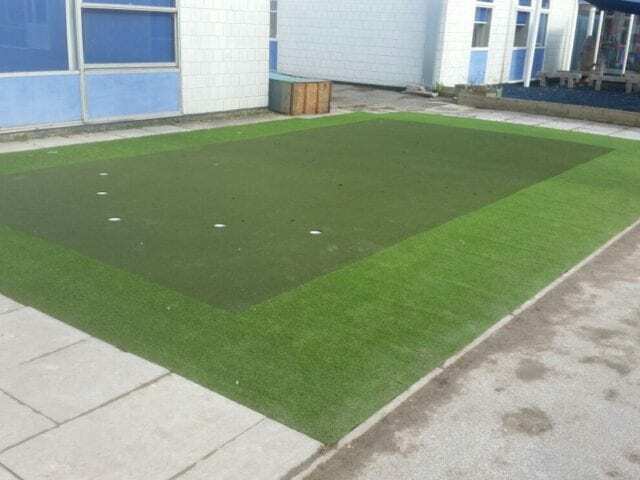 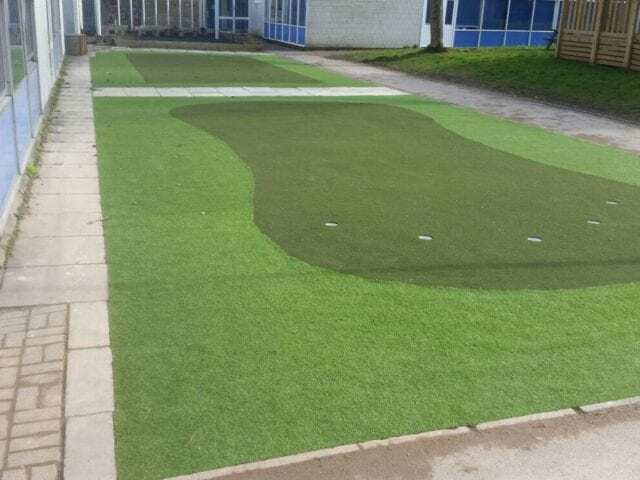 Our Kempshott Junior school Putting Green installation was completed using two of our grasses, Leisure and ProPutt, and the outcome of two putting greens is an exciting new P.E lesson for the children. 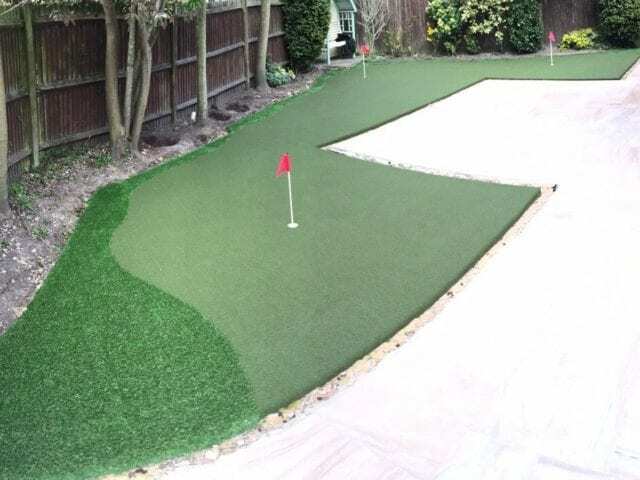 Each putting green offers a slightly different challenge. 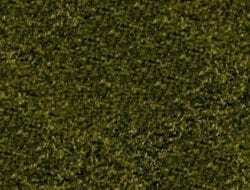 The rectangular green has the holes in a V formation, whereas the curved green has the holes in a half moon formation, with five holes apiece. 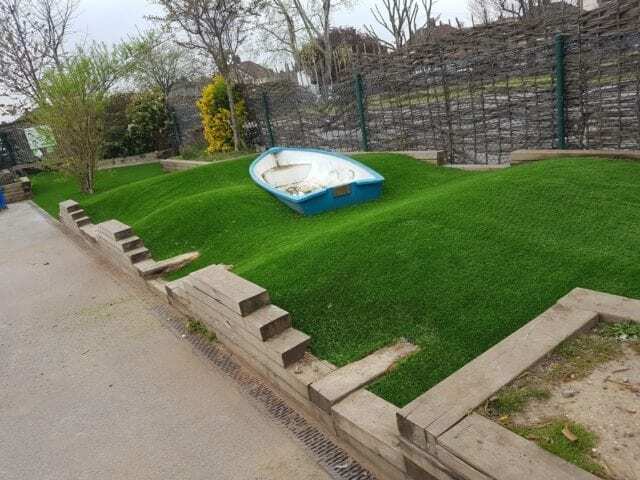 This is a really interesting way to encourage coordination, skill and patience within pupils whilst also offering a fun challenge. 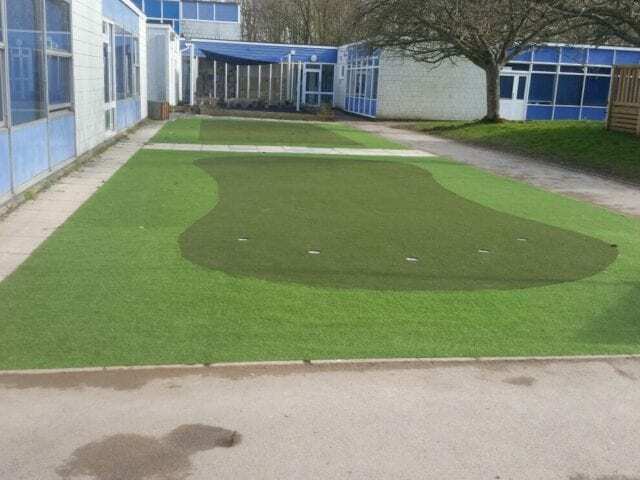 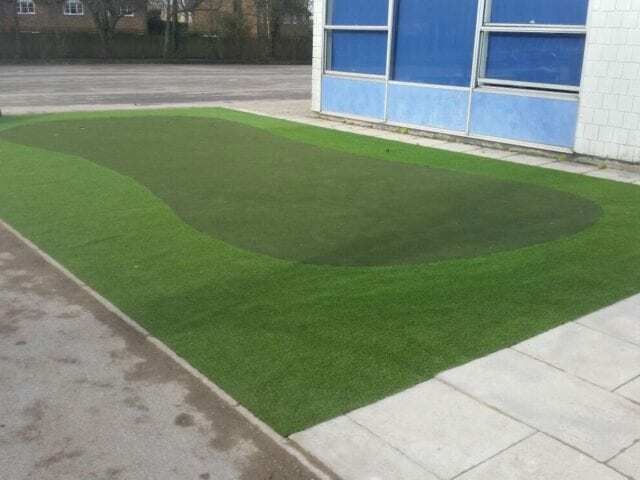 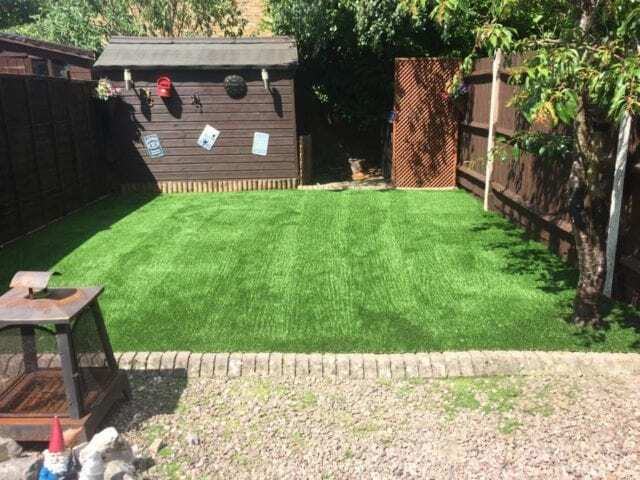 The fringe has been installed with Trulawn Leisure, a grass that is suitable for projects on a tight budget.